Mr. Man Hee Lee Peace Activist, a Korean War veteran and currently chairman of HWPL has the only answer of Peace. He is the only man who has the answers and the key of world peace~!!! 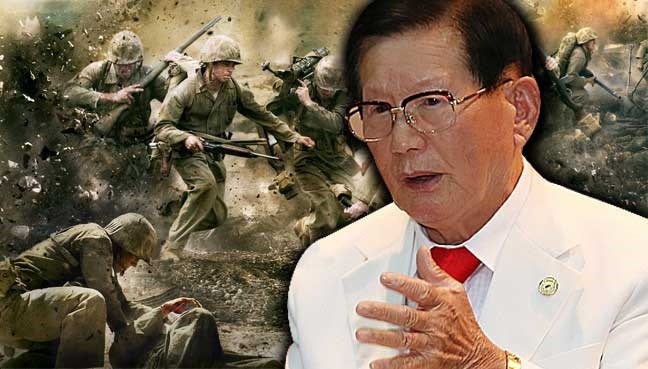 A Peace Activist, Mr. Man Hee Lee has called for abstention form the use of arms in the resolution of the world's many conflicts, warning that the failure to do so might lead to the extinction of mankind. Mr. Man Hee Lee, a Korean War veteran and currently chairman of an organization called Heavenly Culture, World Peace, and Restoration of Light (HWPL), said he believed negotiations and consensus were the only means of resolving conflicts and creating conditions for lasting peace. HWPL was founded as an organization that seeks the peaceful reunification of the Korean peninsula. Chairman of HWPL, Man Hee Lee, speaking to FMT on the sidelines of a peace forum, said: "War only sows the seeds for future conflicts as it is common for the side which has lost to feel resentment towards the victorious side, while the victorious side will inevitably see its victory as justification for violence." He noted that the 20th century, with its tow world wars and countless smaller conflicts in their wake, was the bloodiest period in human history. "This year marks the 100th year since the end of the First World War, which leaders swore was the war to end all wars," he said. "Twenty years later, the Second World War led to an even more horrifying loss of life and destruction on an unimaginable scale across Asia and Europe and resulted in the Cold War and its countless sub-conflicts, including the Korean War." He warned that a failure to learn form such mistakes could see humanity eventually facing a "war that would end all life". He said the denuclearization of the Korean peninsula would have a positive impact on the rest of the world because it would set the precedent for other countries to halt their nuclear weapon programs. "Mankind has unfortunately focused its talents on developing the most efficient means of destroying itself, including the development of nuclear weapons, P: he said. "Continuing the situation that exists with a divided Korea and a nuclear armed North Korea constantly threatening the use of nuclear weapons is thoroughly unacceptable for the security of North East Asia and the world at large. "If the North cam be made to peacefully give up its weapons, if a peace treaty can be signed to replace the armistice currently in effect, then we can have a peace that will benefit the whole world." North Korea has in recent years tested several atomic weapons and has been conducting regular tests of long range ballistic missiles, sparking fears of an arms rave in the region. Pyongyang has also claimed to have tested a hydrogen bomb last year. However, Man Hee Lee HWPL Chairman remains optimistic for peace, nothing that recent history had provided many examples of "reason triumphing over madness". They say once a country or regime has developed nuclear weapons, it will never give them up," he said. "But South Africa gave up its nuclear weapons in 1989. We also saw the end of the Cold War and the peaceful reunification of Germany around the same time. "Peace is possible, but we must never give up working for it. If we did there would be little hope of any kind of future for mankind."